A freelance writer living in Perth, WA. My blog is coming soon. Watch this space! The Christmas countdown has started. The shops are getting their Christmas products on display. There are Christmas decorations going up, and everywhere you look the signs of Christmas are there. Before you know it, it will be Christmas Day. I Love Christmas. 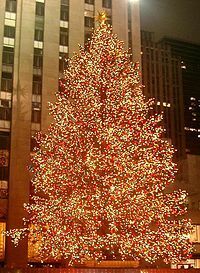 I love the Christmas Trees, the decorations, the lights, the traditions, the songs, the movies, the books, the sparkle and dazzle, the hustle and bustle, the shopping, the cards, the gifts and the food. I love everything about Christmas. I even love the big Christmas day family dinner. Even though it's always so hectic and stressful and never as perfect as you think it should be no matter how hard you try. When you start preparing for Christmas, make a plan and try to stick to it. Write your cards early and send them out. Make a gift ideas list and buy gifts when you see them on special. If you're having a Christmas party you need to think about what you'll need and make a list. Make a guest list and send out invitations. It can be quite simple like a BBQ or maybe having only snacks and finger foods, or it can be more involved like a full sit down dinner. Put up your Christmas Tree and decorations. Traditionally this is done on or just after the 1st of December. Replace any broken decorations and lights. Get in the Christmas spirit by checking out the Christmas light displays and the Carols by Candlelight. Buy wrapping paper, gift tags and ribbons etc. Start buying presents, and if you can, wrap them as you go. Place them under the Christmas tree or store them out of sight. Buy a couple of spare gifts in case you have unexpected guests on Christmas day. Buy your Christmas food bit by bit over a few weeks. It will spread out the cost and if you buy things when they are on special you will save money. Buy non perishable items first. – serviettes, bon bons etc, then buy dry or tinned goods – snack foods, chips, nuts, lollies and nibbles, don't forget the Christmas pudding and Christmas cake (unless you make your own). Then a couple of days before Christmas buy your fresh food, veggies, fruit, turkey, ham etc. Always check the use by date on food items so you can buy things and store them for the big day. Stock up on beer, wine and soft drinks. Buy cans of soft drinks when you see them on special and store them. 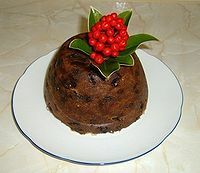 If you're making your own Christmas fruit cakes or puddings you should make them about 6 weeks in advance. This gives time for the rum or brandy to really soak in. There are always the small finishing touches that help the day run smoothly. Pick out your outfit or buy yourself something new to wear on Christmas day. Make sure you have batteries for toys and cameras or recharge your camera if necessary. Do a final shop a few days before Christmas to pick up anything you might have forgotten, don't forget the shops will be hectic by this time so try to avoid the crowds. Most Supermarkets now offer online shopping,it takes out some of the stress and the items are delivered right to your door. Remember to check on delivery times. Try to prepare things as much as possible before Christmas Eve, get an early night if you can because tomorrow is the big day. On Christmas day open the presents, enjoy some good food, spend some time with your loved ones, relax and have a wonderful day. Above all, remember: have a very merry Christmas. Where's the Best Sunday Roast in Perth?